After a comeback as a standalone brand in the Daimler family, these days Maybach exists as a high-trim, extra-roomy version of the Mercedes S-Class. This is fine, even though it looked virtually indistinguishable from its cheaper base model at a glance. That has all changed: two-tone is back, baby. 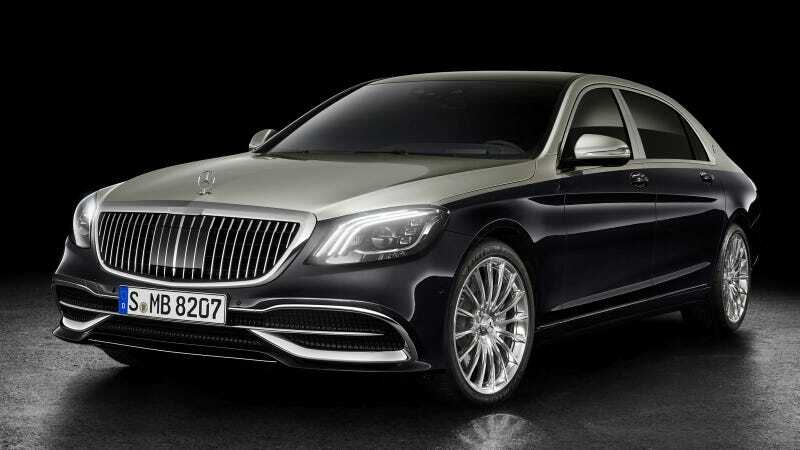 Meet the 2019 Mercedes-Maybach S-Class, now with more Maybach. It’s still 10 inches longer in wheelbase and overall length than a standard S-Class, but with more visual cues like that two-tone paint to make it stand out more than your typical top-trim Benz that a poor person might drive. The bigger Benz also gets vertical slats in the grille and new 20-spokes, but the important thing is that you can get the two-tone as an option, with supposedly nine different color combos on the way. I do hope lime green over forest green comes in the first batch. Luxury is never quiet.